Nathan B. Stubblefield Foundation, Inc. The Nathan B. Stubblefield Foundation, Inc. is a nonprofit organization established solely to operate WMNF Community Radio. The Board meets on the third Monday of the month, 7:15 pm, at WMNF, 1210 E. Martin Luther King, Jr. Blvd., Tampa, FL 33603. * Note: Meetings are occasionally rescheduled due to holidays or other date conflicts; please call the station at 813-238-8001 to confirm the date and time of any particular monthly meeting. 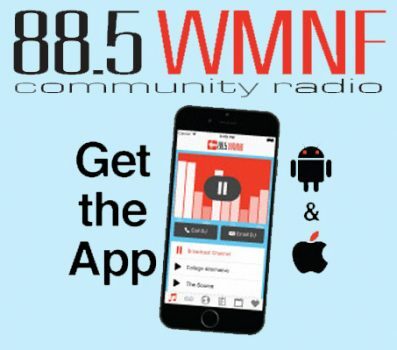 The Board governs the Foundation, which owns the assets of WMNF, including physical assets, the FCC license and the goodwill towards WMNF shown by the community. The Board establishes the mission of WMNF. The Board establishes working committees that make recommendations for consideration by the full Board. The Board establishes prudent fiscal policies, approves an annual budget, secures an annual audit, conducts planning retreats, and approves personnel policies, style statements and programming policies. The Board is responsible for strategic planning. The Board participates in the fundraising functions of WMNF. The Board consists of: at-large members, members selected by the RadioActivists, and a member selected by the staff. The at-large members are non-RadioActivist (ie: not active volunteers) community members selected by the Board as a whole. The Station Manager is an ex-officio, non-voting member of the Board. Elections are held each Fall. If you are interested in serving on the Board of Directors, send a letter of interest to: Nominating Committee, Board of Directors, 1210 E. Dr. MLK Blvd., Tampa, FL 33603. Information about committees and meetings is available here . Here are the WMNF Bylaws. The Volunteer Committee at WMNF represents the volunteers of the station to the board and staff of the station. See also the Board Committees and Meetings page.